Size 8 looks set for the next phase of her Christian journey as an evangelist. Barely a month after graduating from Bible School, the newly ordained Evangelist Size 8 Reborn has hit the ground running and is days away from hosting her first crusade. Dubbed ‘The Revival Crusade’, the event will be held at the Riruta Stadium on January 20. Entry is free. Size 8 shared the news with her fans on social media with a poster of the upcoming crusade. “The Revival Crusade with Evangelist Size 8 Reborn at Riruta stadium hapo BP from 3 pm. Entry free,” read part of the poster. Size 8 Reborn further shared a brief story of her journey from singing secular music to being called by God to be used as a vessel to spread the word. “Who God calls, He justifies. He uses anything for His will and His glory. He is not a respector of persons. It doesn’t matter your past. God calls you before you are born and sets you apart for His glory. Like Paul the apostle a MURDERER OF THE CHRISTIANS met Jesus on His way to Damascus and became one of the most radical witness of Jesus Christ. So has God called Linet Munyali Muraya from the heart of SINFUL MUSIC AND THE WORLD to be His mouth piece an evangelist to Kenya and the world. Father I finally accept your call to go out fully and represent you. To God be the glory. Let your will be done.” Wrote Size 8. 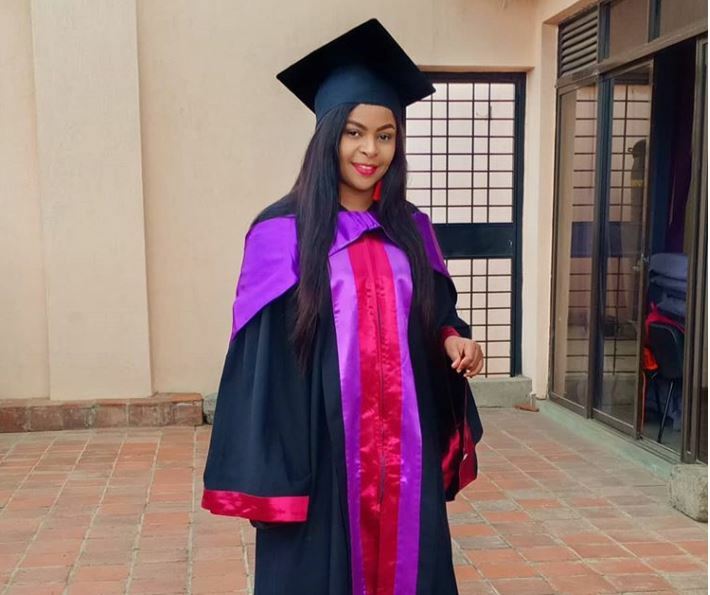 The ever-inspiring musician and television presenter graduated from the Harvesters Global Church bible training school in Ridgeways off Kiambu Road in early December. Who God calls, He justifies. He uses anything for His will and His glory. He is not a respector of persons. It doesn’t matter your past. God calls you before you are born and sets you apart for His glory. Like Paul the apostle a MURDERER OF THE CHRISTIANS met Jesus on His way to Damascus and became one of the most radical witness of Jesus Christ. So has God called Linet Munyali Muraya from the heart of SINFUL MUSIC AND THE WORLD to be His mouth piece an evangelist to Kenya and the world. Father I finally accept your call to go out fully and represent you. To God be the glory. Let your will be done……….